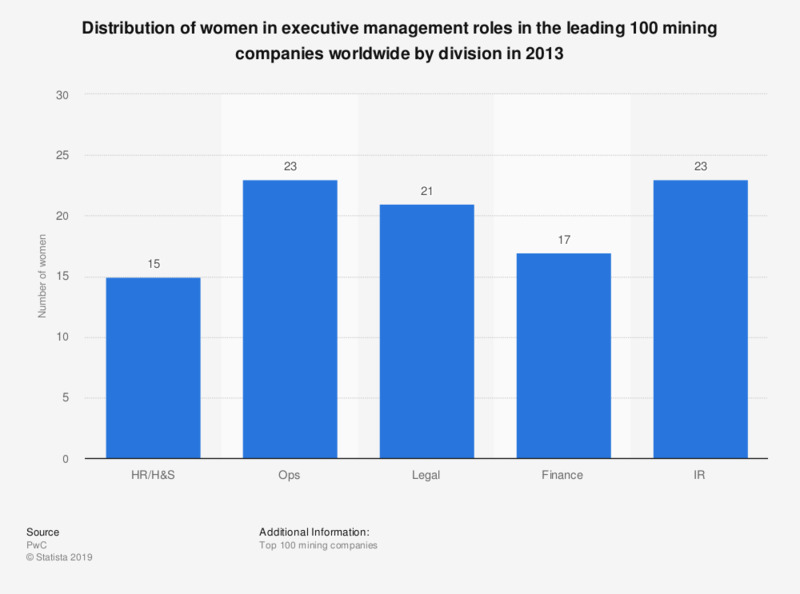 This statistic displays the number of women in executive management roles within the top 100 mining companies globally in 2013, by division. During this time, there were 17 women in the finance division working for the top 100 mining companies globally. The mining industry holds one of the smallest shares of women on boards in comparison to other industries, with the exception of oil and gas. Arguments behind the lack of women in this industry often list inhospitable locations, too much travel, lack of women with technical skills, and cultural and health and safety issues. * Top 100 mining companies (ranked by market capitalization in July 2013).